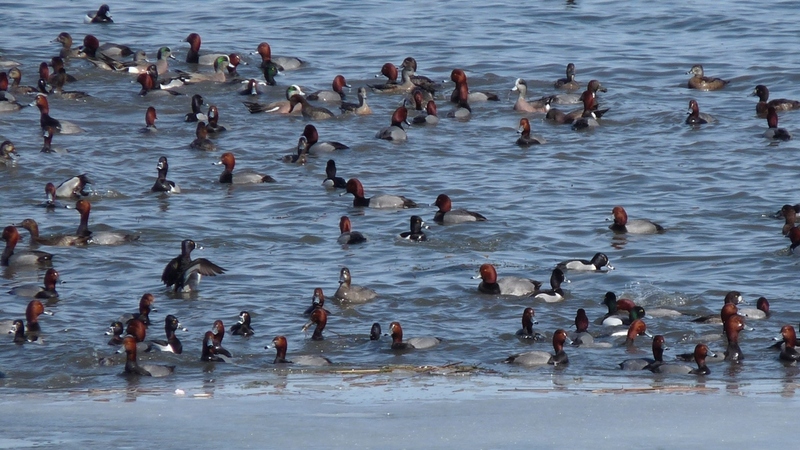 Presqu'ile's Waterfowl Weekend have been an annual tradition since 1977. But the waterfowl that are the stars of the event have been coming through Presqu'ile for much longer than that. Presqu'ile Bay is a major stopping area for waterfowl as they make their way north in the spring. Spring for waterfowl starts as soon as the ice starts leaving the bay. The ducks congregate along the retreating ice edge, diving under the ice to find areas of newly exposed food. Numbers can reach 20,000 birds on some days and twenty different species seen on one day is not an unusual occurrence. This congregation of waterfowl is a world-class wildlife spectacle and Waterfowl Weekends is about introducing people to this spectacle. During this mid-March weekend activities run from 10am to 4pm. There will be volunteers with scopes situated at key areas to help visitors find and identify up to 25 species of ducks, geese and swans that annually use the Presqu’ile Bay to rest and feed. The Nature Centre will be open with ducky displays and children’s activities, including crafts and a self-guided scavenger hunt. This centre also features local artists, taxidermists, carvers and photographers on-site to discuss their work. The Lighthouse Interpretive Centre will also be open, with its art gallery open and artists on-site. The Friends’ of Presqu’ile will be present at this centre with warm drinks and snacks for sale and their Gift Shop will be open. In addition the Friends will run a fund-raising BBQ from 11am to 1pm with burgers, hot dogs and drinks for sale. See Calendar of Events for this year's dates. Contact David Bree at 613 475 4324, ext 225 or david.bree@ontario.ca for more information or if you are interested in volunteering.